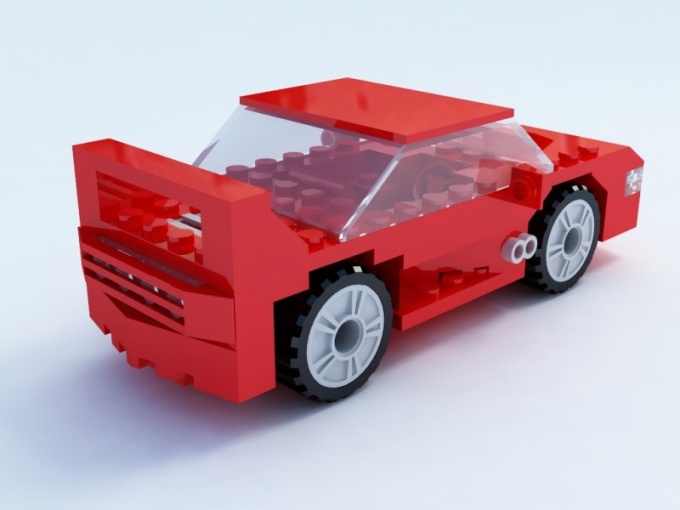 Lego – a welcome gift for a child, especially for boys who really like to build him a building, collect model cars, aircraft and other equipment. You can teach a child to build the machine according to the attached instructions or on your own using available parts. Open the box of the purchased set or inspect it from all sides. You'll find detailed instruction for step-by-step process of Assembly. Please observe all instructions and teach you how to do this, as often the sets are quite complex. If you can't find the user manual in the box, refer to the official builds on the website Lego or look for Amateur scanned and drawn descriptions. Pay attention to the details that are used in various sets, and make sure that you have everything you need. You can buy a box of "Freestyle" - a variety of details that apply for creating all kinds of design options. Lay out all of the details that will be used in the production of a car in groups. The first of these take often ready to wheel and parts for mounting them to the axle and the underbody of the car. To build the body you will need several rectangular and square blocks, and included the door on the hinges. Look for in a set of bumpers for the trunk, flat or slightly convex roof, plastic glass. Attach two wheels to two axes – thin and elongated blocks. On top of them install one or two flat blocks to get something resembling a cart. Attach to the sides of the doors are on hinges and the front windshield. Of several cubical blocks construct trunk and engine compartment. Install the remaining glasses and put them on top of the roof. Complete your car to a few parts in for beauty. For example, round and colorful details-the buttons can be used to create a headlight and tail light, tires and ornament. Add optional spare tire in the trunk, the antenna, or put the driver inside, if space permits.